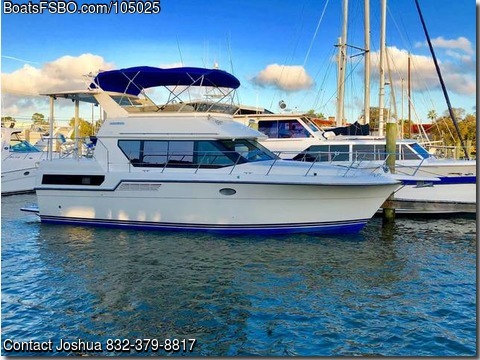 Gorgeous 370 Aft Cabin with twin 454 Mercruisers (approx 850 hrs), new (4hrs) Onan ($15k) generator, 3 new A/C systems, granite countertops, new bolder pumps, stainless appliances, memory foam mattresses, new fixtures, new furniture, $15k in Raytheon Radar and Multi-Chartplotters, fishfinder, etc. Boat has just had full compound and wax, bottom refresh, full canvas on bridge, New windlass, two new electric heads, electric plumbing, Cellular based bilge alert system ($500 discount on insurance), hop in and go. Rides like a king on the big blue!! Please call 832 three seven nine, eight eight one seven.